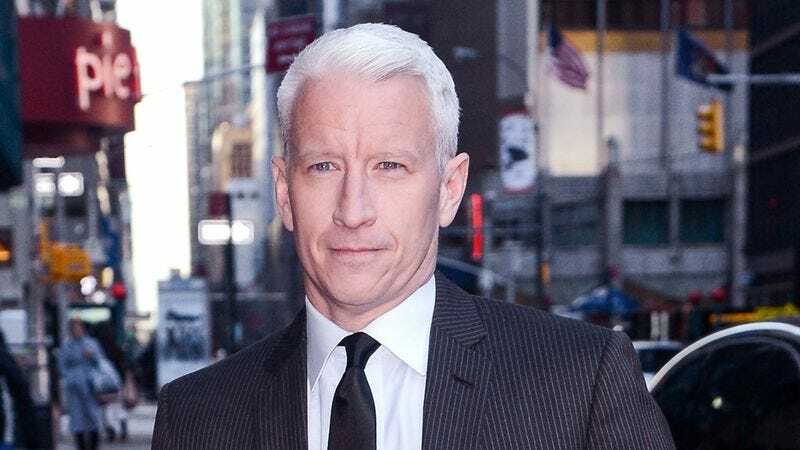 NEW YORK—After a period of careful self-examination, CNN’s Anderson Cooper opted not to go public with the ongoing gay conversion therapy he is receiving through a local evangelical Christian church, sources confirmed yesterday. “While it’s true my homosexuality is almost 100 percent cured, it’s still a sensitive topic I’d like to keep out of the public eye for now,” the formerly gay journalist reportedly said of his efforts to alter his sexual orientation through behavior modification and prayer. “I may give a subtle nod to it on air once I complete my rehabilitative program, but we’ll see. You just have to weigh the risks of potentially losing personal and professional connections and having to constantly stand up to those who don’t believe it’s possible to fix your deviant urges by accepting the word of Christ.” Cooper added that while he’s still not quite ready to make a formal announcement, he knows he will have to introduce his coworkers to Marie at some point.